Which brand of foundation is good for women looking for a good foundation cream to use? Which brand of foundation for women? Have you ever come across the of “What kind of foundation is good and suitable for all individual ladies?” And there will be no more questions about this since “All in One” foundation is a solution which is highly recommended to meet your needs. “Every day– Look” ready to be used in their daily lives which cannot be lack of. By trying to choosing the best foundation, this might stress out a lot of ladies since smooth and flawless perfection is always aimed. 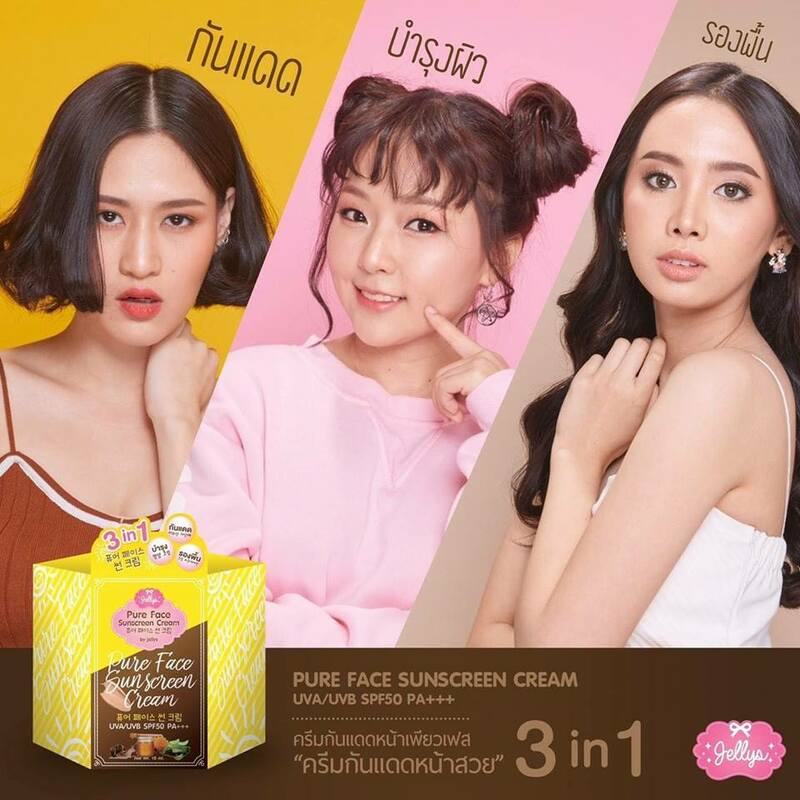 Thereby, we would like to introduce you to our special foundation equipped with high- ended functions as “All in One” including of PURE FACE SUNSCREEN CREAM playing its role as sunscreen, moisturizer, and foundation. This “All in One” foundation is found to be the cutting – edge innovative technology by its own bottle of cream, which also investigated to be 100% safe. This product consists of both sunscreen and foundation having a light texture with high efficiency. For sunscreen, it could protect UVA/ UVB up to 50 times. Due to its light texture, the foundation easily penetrates and absorbs into the skin and does not leave the skin sticky. It also does not clog pores, but moisturize the skin and lessen black spot leaving the skin natural bright and youth. This foundation is waterproof with 12 hours’ oil control which can naturally smoothen the skin with good coverage. 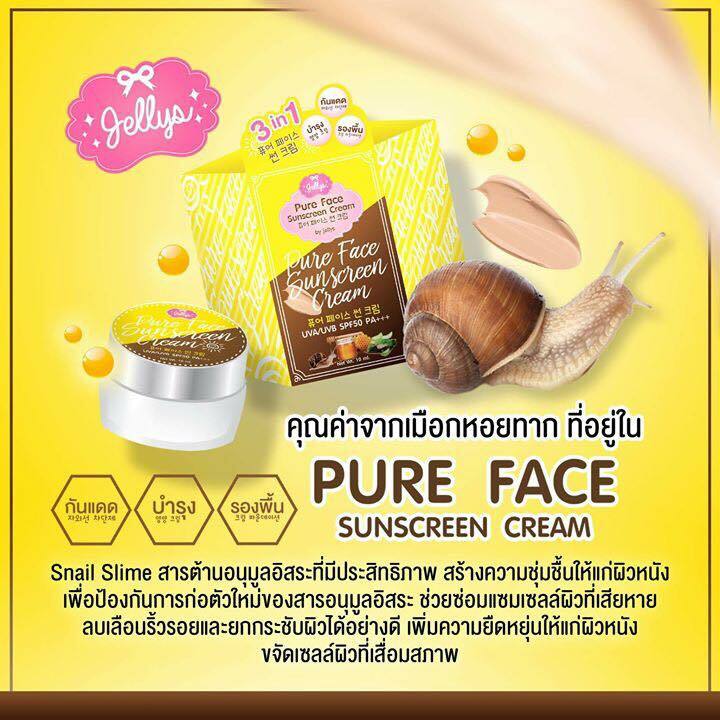 https://www.jellysthailand.com/wp-content/uploads/2018/03/9-2.jpg 960 960 non https://www.jellysthailand.com/wp-content/uploads/2018/07/logo-jl2.png non2018-11-13 13:23:482019-03-24 13:04:23Which brand of foundation is good for women looking for a good foundation cream to use?